Thanks to the 2002 film version of the Broadway classic Chicago most people have an idea where they stand when it comes to this play. Since Broadway touring casts tend to be pretty uniformly great, we thought rather than do a normal Drama Talk & Drinks review of the show, we’d go backstage and give you some insights into why you might want to see this current production in particular, now open at SHN’s Orpheum Theater until November 16th. 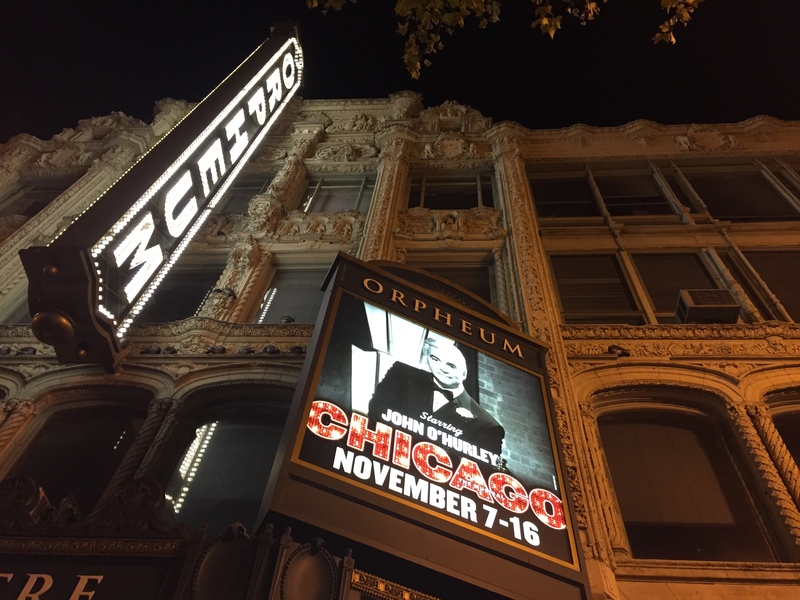 After a quick backstage tour, we sat down with Christophe Caballero, swing and understudy for Mary Sunshine, and Adam Pellegrine, who plays Harry, Martin Harrison, and is part of the ensemble, to talk about what it’s like to perform in SF and what’s special about this current production of Chicago. Skip to the end if you want our quick and dirty assessment of the show, but Adam and Christophe had some fun things to say. Brittany: What’s it like to perform for a San Francisco audience?